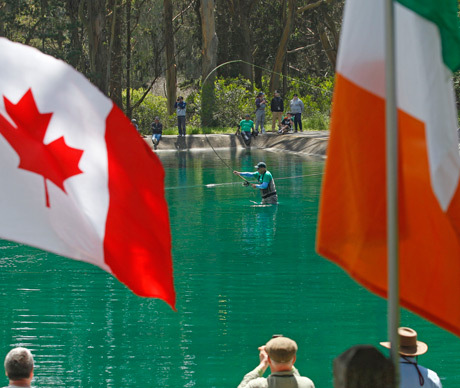 The Golden Gate Angling and Casting Club (GGACC) is pleased to announce the 16th annual World Championship of Spey Casting to be held from Friday, April 26th to Sunday, April 28th, 2019 at the world-renowned casting ponds located in San Francisco's Golden Gate Park (on JFK Dr. across from buffalo paddock). In addition to showcasing product exhibits and casting demonstrations, the best Spey Casters from a variety of countries will again be competing in this (two-handed "Spey rod") distance casting competition. Admittance is free, lunch and breakfast are available for $10 on Friday, Saturday and Sunday.